At the heart of today’s fierce political anger over income inequality is a feature of capitalism that Karl Marx famously obsessed over: the commodification of labor. Most of us think wage-labor economics is at odds with socialist thinking, but as Martha Lampland explains in this fascinating look at twentieth-century Hungary, there have been moments when such economics actually flourished under socialist regimes. Exploring the region’s transition from a capitalist to a socialist system—and the economic science and practices that endured it—she sheds new light on the two most polarized ideologies of modern history. Lampland trains her eye on the scientific claims of modern economic modeling, using Hungary’s unique vantage point to show how theories, policies, and techniques for commodifying agrarian labor that were born in the capitalist era were adopted by the socialist regime as a scientifically designed wage system on cooperative farms. Paying attention to the specific historical circumstances of Hungary, she explores the ways economists and the abstract notions they traffic in can both shape and be shaped by local conditions, and she compellingly shows how labor can be commodified in the absence of a labor market. The result is a unique account of economic thought that unveils hidden but necessary continuities running through the turbulent twentieth century. 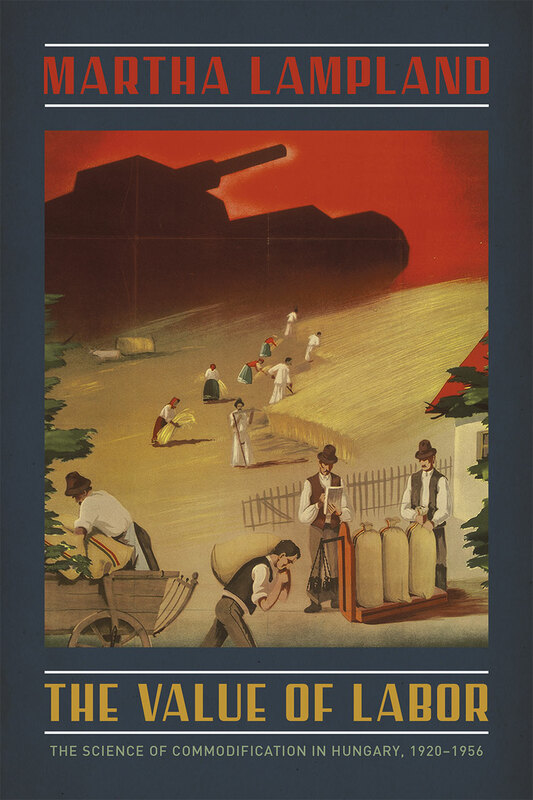 "Following on the path of questioning that Lampland laid out in The Object of Labor (1995), The Value of Labor delves deeper into the technopolitical history of the commodification of agrarian labour in Hungary. . . . In The Value of Labor, she follows the expert and policy debates in 1930s work science, and points out their continuities with the institutionalization of the work unit in the Stalinist phase of collectivization, contradicting the Cold War concept of Stalinist modernization as Soviet models imposed from scratch." "Consequently, the book opens up comparative work not only across time (Lampland outlines striking parallels between agricultural transition in the early 1990s, when she started reading materials for this book, and the Stalinist agricultural transition she was reading about), but also geographically and across production systems." "This book’s outstanding insights spring from the author’s knowledge and skillful use of an enormous variety of published and unpublished sources, including local newspapers and archival collections. As her previous works have already proved, she is one of the leading experts on modern Hungarian history."